His Royal Highness Prince Bernhard of the Netherlands was the Founding President of the World Wide Fund (WWF) after its establishment in 1961. He filled this role until 1976, but continued to play a pivotal role in the international nature conservation scene. During his time at WWF he played a crucial role in the creation of numerous nature reserves in Nepal, India, Poland and Ivory Coast, amongst others. He was also involved in the creation of the Convention on the International Trade in Endangered Species of Wild Fauna and Flora (CITES) in 1975. 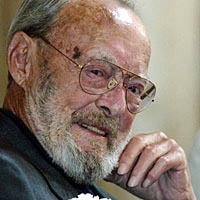 In 1994, he established his own Nature Fund: the Prince Bernhard Nature Fund (PBNF). Because it is a small endowment fund, it has an independent and non-bureaucratic character. This allows it to actively focus on the smaller grassroots organisations that have difficulty finding funding elsewhere. The successful projects of today once started with only a dream. Somebody had to give it the benefit of the doubt and finance an attempt to realize this dream and to let it grow. This is what the PBNF does. PBNF grants are often used as seed money for new initiatives. Every two years, the Fund organizes a Private Seminar for a selected group of leaders from the private sector, governmental and non-governmental organizations to exchange ideas on new conservation challenges and opportunities. With these seminars the PBNF tries to challenge itself and others to think outside the box and to exchange opinions, thoughts and experiences, thereby stimulating innovation and cooperation within the nature conservation sector. Our vision is a biodiverse world with healthy ecosystems and a sustainable, wise use thereof. The PBNF is an endowment fund. The endowment left by the late Prince Bernhard is invested in the stock market (in green and sustainable companies such as in the renewable energy sector) and the interest is used to support projects worldwide. We have no donors or investors. Board members of the PBNF do not receive financial remuneration, PBNF employees’ salaries are conform general standards for not-for-profit organisations. The PBNF has been granted the ANBI status by the Dutch Tax Authorities. An institution can be qualified as an ANBI solely when at least 90% of the institutions efforts are focused on the general good.